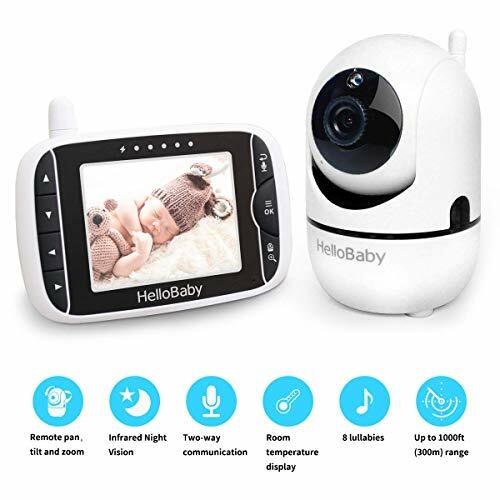 REMOTE PAN TILT and ZOOM &3.2" LCD DISPLAY: Remote control camera rotate 355° in horizontal and 120° vertical ensuring you always have a full view of your baby room. 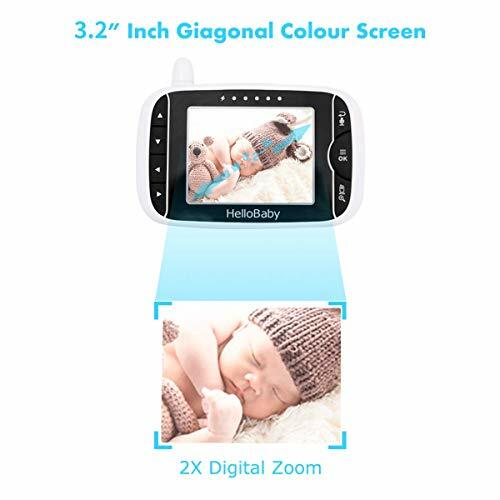 TWO WAY TALK: The Parent unit comes with Talk Back feature, which could help you Comfort your baby with voice and gives you more freedom in your baby care.The operating range could be up to 900ft outdoors or 160ft indoors. 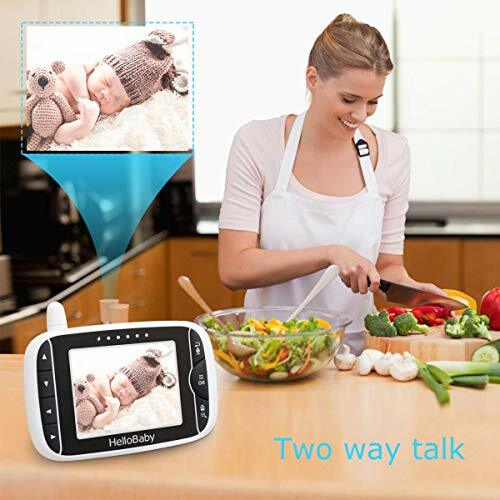 EASY and CONVENIENT to OPERATE: Just like plug and play. The Parent Unit powered by rechargeable battery. 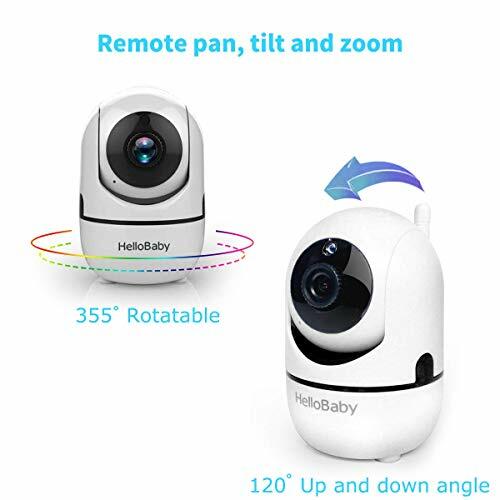 It is portable and gives you full mobility in the house. 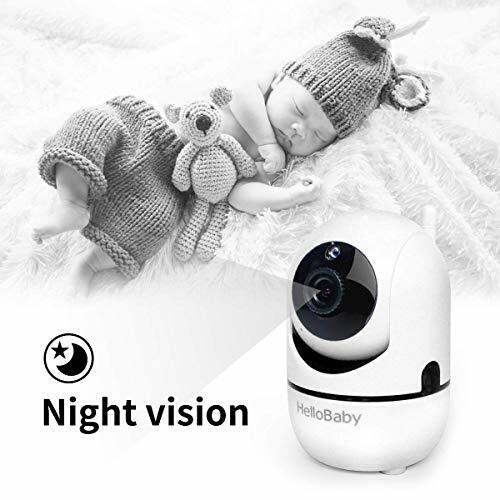 SMART FEATURES: Room temperature monitor and alert, night vision, lullaby, sound level LED indicator, audio only mode. comfortable. 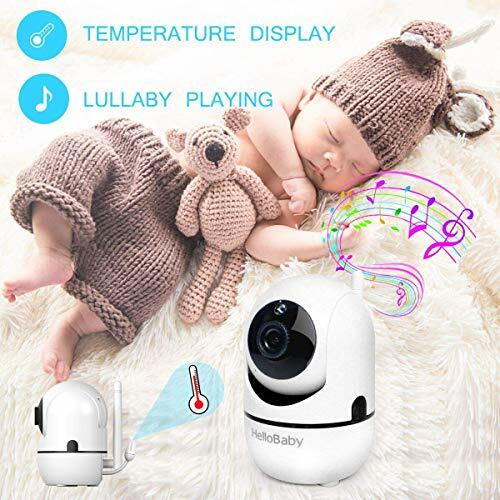 Sound level LED indicator allows you to see how much noise your baby is making in case he/she is crying.